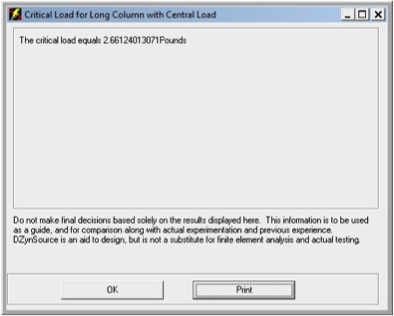 This feature will tell you what the critical load is to avoid long column buckling for your pin or post. 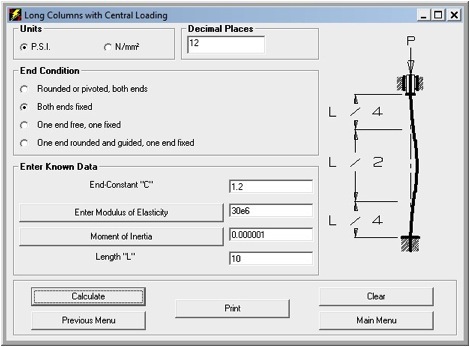 Here again, the modulus of elasticity can be chosen from a list, or entered manually. The moment of inertia is transferred from the worksheet shown earlier. This example shows that the critical load for a 10” long, .0625 diameter ejector pin, is about 2.66 pounds.